Order fulfillment. Our powerful warehouse management system ensures that your customers' orders appear on time. From future shipments to backorders, our system efficiently handles your eFulfillment and eCommerce needs. Warehousing. With up to 268,000 square feet of available space and 30-foot clear ceiling height, we are flexible enough to meet your storage needs. Our state-of-the-art warehouse management system tracks every movement your product makes from the minute it arrives at our doors to when it is shipped to your customer. We also provide temperature controlled storage to ensure your product is warehoused to specified standards. Cross-docking. Cimetra ensures the transfer of inventory between shippers runs smoothly and on time. 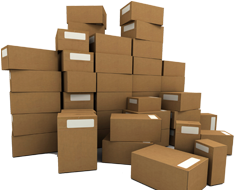 We streamline the shipping process to ensure reliable and quick turnaround times. Customs documentation. Need to ship an international order? No worries! Cimetra has extensive experience preparing customs documents so that international shipments reach their destination without any hassles or delays. Value added services. Cimetra guarantees fast turnaround on any request. Our trained, qualified, and highly experienced staff are passionate about getting the end product to your client exactly how you want it. At Cimetra, we're passionate about helping businesses and organizations in every industry succeed with their warehousing, shipping, and logistics needs. Our mission is to build a trusted and reliable relationship with each client, ensuring quality performance and superior 3PL service time and time again. To learn more about Cimetra Warehouse and 3PL services, contact us today! How Do You Define Logistics?